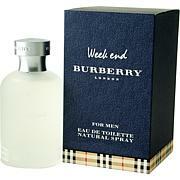 Burberry by Burberry - EDT Spray for Men 1 oz. 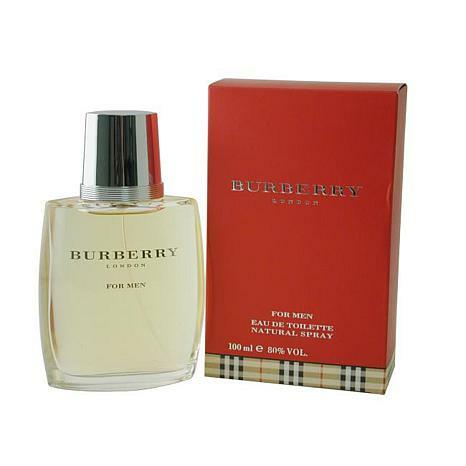 Launched by the design house of Burberry in 1995, Burberry EDT Spray 3.3 oz is a mens fragrance that possesses a blend of Tagete, Blackcurrant, Green Apple, Peach, Marigold Burberry is recommended for casual use. 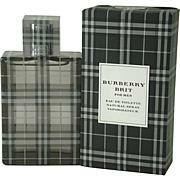 This item may not ship to Alaska, Guam, Hawaii, Puerto Rico, or the Virgin Islands using a ground shipping method. Please select an air method when ordering this item for those locations. All Orders must also have a physical address and not a P.O. Box. Alcohol Denat. (sd Alcohol 39-c) - Parfum (fragrance) - Aqua Water Limonene - Linalool - Coumarin - Citronellol - Benzophenone- Geraniol - Isoeugenol - Citral - Trisodium Edta - Ci 19140 (yell Ci 14700 (red 4) - Ci 17200 (red 33) - Ci 42090 ( Blue 1). 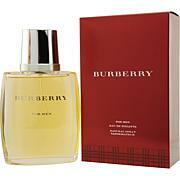 I love this cologne for my husband and HSN had the best price.Winning!